Professor Sergio Palleroni is a Senior Fellow of the Institute for Sustainable Solutions at Portland State University, and a founding member and faculty of the federally funded Green Building Research Lab. Professor Palleroni’s research and fieldwork for the last two decades has been in the methods of integrating sustainable practices to improve the lives of communities worldwide typically underserved. In 1988, to serve the needs of these communities he founded an academic outreach program that would later become the BASIC Initiative (www.basicinitiative.org), a service-learning fieldwork program. Today, the BASIC Initiative continues to serve the poor in Asia, Latin America, Africa and the U.S. In addition, Professor Palleroni has worked and been a consultant on sustainable architecture and development in the developing world since the 1980s, both for not-for-profit agencies and governmental and international agencies such as UNESCO, World Bank, and the governments of China, Colombia, Costa Rica, India, Kenya, Mexico, Nicaragua and Taiwan. Palleroni holds a Master of Science in Architectural Studies from the Massachusetts Institute of Technology and a Bachelor of Architecture from the University of Oregon. Todd is Associate Director and Senior Research Associate at the CPID. Before earning a Master of Architecture degree from the University of Texas at Austin, Todd worked for over a decade in the nonprofit field, Including founding KIU ART, a service-learning organization that works with schools in Mwanza, Tanzania. His current work investigates how social needs can be addressed by architecture in underserved communities and seeks to develop new tools and models of engagement to aid in this effort. Recent projects at the CPID include the design of a sustainable community center in Inner Mongolia, China; a collaboration with the Portland Opera to create a mobile opera stage to bring the arts to more communities; and the POD Initiative to provide new visions for addressing houselessness in Portland using a participatory design and construction process toward the creation of villages. 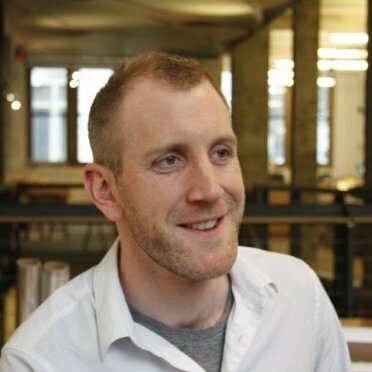 Todd is a Fellow at the Institute for Sustainable Solutions, Director of the Architecture Summer Immersion Program at the PSU School of Architecture, and coordinator of PSU’s Graduate Certificate in Public Interest Design. Margarette Leite is an Associate Professor in the School of Architecture at Portland State University and teaches architectural design and building tectonics. Her work has garnered awards for civic engagement and have been the subjects of numerous publications and documentaries. She has been a featured speaker at various forums nationally on public interest design. These initiatives with students includes projects with local school districts for the design of sustainable learning spaces as well as a current statewide initiative to build and distribute a greener, affordable modular classroom across Oregon and the nation. The SAGE Classroom was awarded an international SEED award in 2013 and serves as a model for how the profession can engage communities in solving critical social issues. Her tectonics classes focus on the responsible use of sustainable and reusable materials as well as the promotion of hands-on making as a life-long habit for students of architecture. She is also a partner in PLDP Architecture, a firm that designs and promotes sustainable buildings and communities with particular emphasis on disaster relief. Travis Bell is is an Assistant Professor in the School of Architecture at Portland State University. He received a Bachelor of Science in Philosophy from PSU and Master of Architecture from the University of Washington. Travis’s primary interest lies in making architecture that is in closer alignment with the natural patterns of our environment. This primary interest grounds a research, teaching and design agenda focused on appropriate material choice, the prioritization of authentic craftsmanship, passive systems design, adapted historical technologies, Critical Regionalism and temporary architectural solutions. Recent projects at the CPID include the design of a community-based material recovery and recycling center. He also leads the annual design and construction of a stage for the Pickathon music festival with students focusing on sustainable material investigations, which won the 2015 AIA Portland Jury Award. Dr. Anna Goodman is Assistant Professor of Practice in the PSU School of Architecture. She has focused her work on the politics of architectural practice and the role of making and craft in defining the borders of professional identity. Her most recent project examines the concept of the citizen architect and the ways in which architectural educators have influenced the development of the profession through the instigation of humanitarian design-build projects in the twentieth century. She has published articles and reviews in publications including DIALECTIC, the Journal of the Society of Architectural Historians, Planning Perspectives, and others. She received her doctorate in Architecture with an emphasis on Global Metropolitan Studies, from University of California, Berkeley, in 2015. She also holds a Master of Science in Architecture from UC Berkeley and a Bachelor of Architecture from Rice University. Andrew Santa Lucia is Assistant Professor of Practice in the PSU School of Architecture. He was previously faculty with the School of the Art Institute of Chicago, where he most recently taught courses in architecture, interior architecture, and designed objects. His research examines the ways in which the architectural discipline mediates culture, connecting design, pedagogy, and criticism through the creation of plastic propositions for lifestyle, with the aim of challenging the way we perceive architecture. He runs the architecture collaborative Office Andorus, which, as part of the 2015 Chicago Architecture Biennial, designed No Place like House, a two-room installation of ritual and performance altars inside Mies van der Rohe’s McCormick House at the Elmhurst Art Museum in Illinois. Office Andorus also provides design services to community activists with the goal of influencing public policy through the architectural discipline. Santa Lucia has published articles in publications such as Ampersand, Architect’s Newspaper, Artlurker, and eVolo. Scott is a Registered Architect, LEED-accredited professional, and Associate at SRG Partnership. He received a Bachelor of Arts in Urban Studies: Architecture and Urban Design from Stanford University in 2001, and has been practicing in Portland since earning his Master of Architecture from the University of Oregon in 2005. His primary focus in practice has been to design enduring environmentally and socially responsible architecture for a variety of public and higher education institutions and clients. Scott has also provided pro-bono architectural services for Central City Concern, and was selected through the Cascadia Emerging Green Builders Competition to design Oregon Habitat for Humanity’s first LEED Platinum Homes. He has taught design studio at the PSU School of Architecture and the University of Oregon School of Architecture. Scott has recently collaborated with the CPID on efforts to design new housing solutions to homelessness. Julia is a designer at Carleton Hart Architecture and holds a Master of Architecture, Bachelor of Science in Architectural Studies, Bachelor of Arts in Fine Art and Certificate in Public Interest Design. She is active in the local community and is currently involved in AIA Portland Emerging Professionals, ForWARD (Women in Architecture and Related Disciplines), and AIA Portland Board of Directors 2017-2018. This work is focused on mentorship, building collective knowledge, diversity, and equity in the profession, as are her efforts organizing events like the Portland Equity by Design symposium. She earned the Alpha Rho Chi Leadership Service Merit and Henry Adams Certificate of Merit in 2015, and was one of Portland's DJC 2016 "Women of Vision" honorees. Julia is an Adjunct Professor at PSU's School of Architecture and a former CPID Student Fellow. Alex has practiced public interest design since 1993 when he spent a year in Marathwada, India, as a Graham Foundation Fellow working with community-based organizations on post-earthquake housing developments. In 2000 he was a founder of Just Cause Oakland (a tenant rights organization, now called Causa Justa Just Cause), before establishing his architectural practice in 2007, Salazar Architect. In addition to running his own architecture practice, Alex is a Research Associate with the Center for Public Interest Design working with the team on the design of three light rail stations in Sacramento and affordable housing efforts. He has designed dozens of affordable housing buildings, including HUD and LIHTC funded developments, and has received multiple design awards for the work. He holds a Bachelor of Architecture from Cal Poly, San Louis Obispo (1993), and a Master of Science in Architecture degree from University of California, Berkeley (1998). Marta is an Italian architect and designer who recently moved to Portland inspired by the work and philosophy of the CPID. She completed her studies at University of Gdansk, Poland, University of Quito, Ecuador, and Politecnico of Milan, where she gained a Bachelor and Master in Science of Architecture. She has worked on a range of international projects and, together with two colleagues, she built “Kaymanta,” a community-based tourism project developed with and for an indigenous community in Ecuador. Following her passion for post-disaster and emergency architecture, in 2017 she earned her Master in “International Cooperation and Sustainable Emergency Architecture” at UIC, Barcelona. She strongly believes in design and architecture as a powerful tool for social change and is putting this belief into practice on a variety of CPID projects including transit design for community impact in Sacramento, California, and a cultural center for Chamanga, Ecuador. Lisa is a graduate of the Master of Architecture program at Portland State University. She completed her undergraduate studies at the University of Kentucky, Ecole Nationale Supérieure d'Architecture de Montpellier, and Shanghai University. She has worked on design-build projects in Oaxaca, Mexico; Biloxi, Mississippi; Lexington, Kentucky; as well as Portland, Oregon, and came to PSU to pursue the Graduate Certificate in Public Interest Design. Since moving to Portland, she has worked with the CPID on several projects, including the Kenton Women's Village and design research on the potential for transit station design to maximize community impact in underserved communities in Sacramento. This year at CPID she will continue to work on transportation design and explore the potential of architecture to support socially and environmentally sensitive design solutions. Lisa is the 2018 recipient of the Hatfield Architectural Award for design promise and community service and Propel Studio Award for Design Excellence. Following an undergraduate education at Whitman College studying the politics and people of the American West’s public lands, Molly supported those experiencing homelessness in Portland and Seattle as a Housing Advocate and Commissioner with the Seattle Planning Commission. Molly is currently pursuing her Masters of Architecture and Certificate in Public Interest Design at PSU. She chose the program for its systems-based approach to an architecture that incorporates the ideas and hands of diverse groups. In her role as a Fellow with the CPID, Molly has supported the place-making and green space of the Kenton Women’s Village, the adaptation of a Winnebago RV into a mobile music venue for a girl’s rock and roll empowerment non-profit, and a mixed-use development supporting small, minority-owned businesses in North Portland. Molly also looks forward to her continued involvement in the South Rockwood Park design-build for a community space within an affordable housing development. Damini (Dah-mi-nee) is an intern with the CPID. Following an undergraduate degree in Architecture from the School of Planning and Architecture in New Delhi, she is currently pursuing a Masters in International Cooperation in Sustainable Emergency Architecture at the International University of Catalonia in Barcelona. She has experience in design and construction of residential and institutional projects on various scales in the private sector and looks forward to learning more about sustainable and socially conscious design practices through her experiences at the CPID. Her academic research explores the issues of equity and appropriation of urban spaces by focusing on the narratives of the marginalized communities. She is strongly inspired by the ingenuity of self-organized systems and networks of people and seeks to incorporate it into the everyday design of things and spaces. Danette Papke is a graduate student at Portland State University pursuing a Masters of Architecture degree and a Graduate Certificate in Public Interest Design. As a Student Fellow for the Center for Public Interest Design since 2016, she has been involved in the design and installation of The [Plywood] POD Initiative exhibition at the Portland Art Museum, the design of a children’s mud kitchen at Helen Gordon Child Development Center on PSU’s campus, and community engagement research and charrettes for Cascadian Terrace Apartments, a 103-unit affordable housing community in North Portland. Prior to studying Architecture and Public Interest Design, Danette completed her undergraduate degree in Business Administration and Entrepreneurship at the University of Portland. She is interested in projects that investigate design problems through collaboration with the end users as a way of fostering relationships and supporting growth in underserved communities.